Ethereum Blockchain (EBaas) as a Service provided by Microsoft Azure and ConsenSys allows for enterprise customers and partners to play, learn, and fail fast at a low cost in a ready-made dev/test/production environment. It will allow them to create private, public and consortium based Blockchain environments very quickly in Azure. 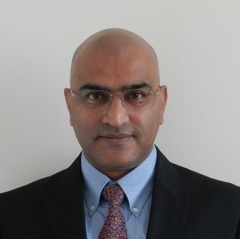 In this session, you will learn how to get started with prototyping building blocks of a decentralized application using EBaas in Windows Azure. 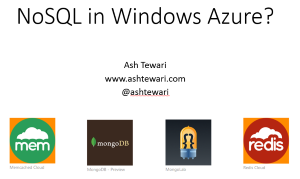 Venue: Triangle Azure User Group Slides : download. Smart Contracts are an exciting innovation built on blockchain technology. 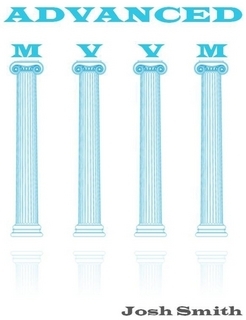 It is a way to execute code in a trustless, decentralized and transparent system. Ethereum is a decentralized platform to run smart contracts using a variation of Bitcoin’s blockchain technology. 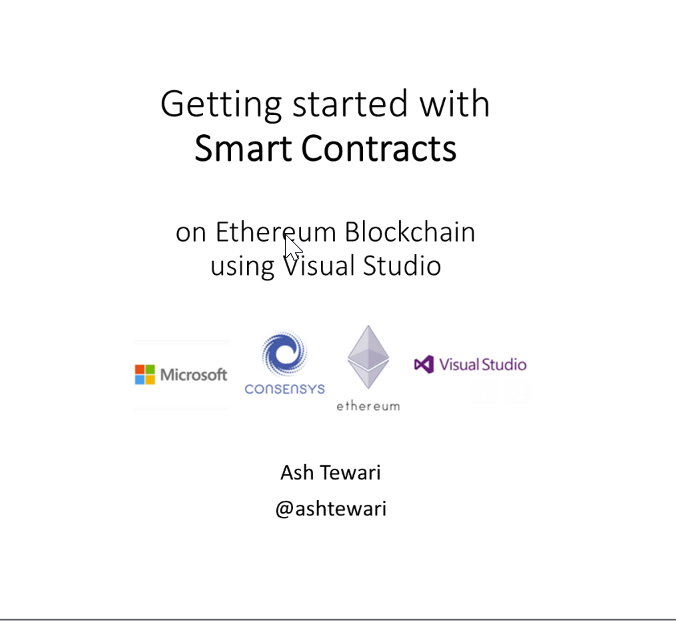 In this session, you will learn how to write smart contracts in Visual Studio. 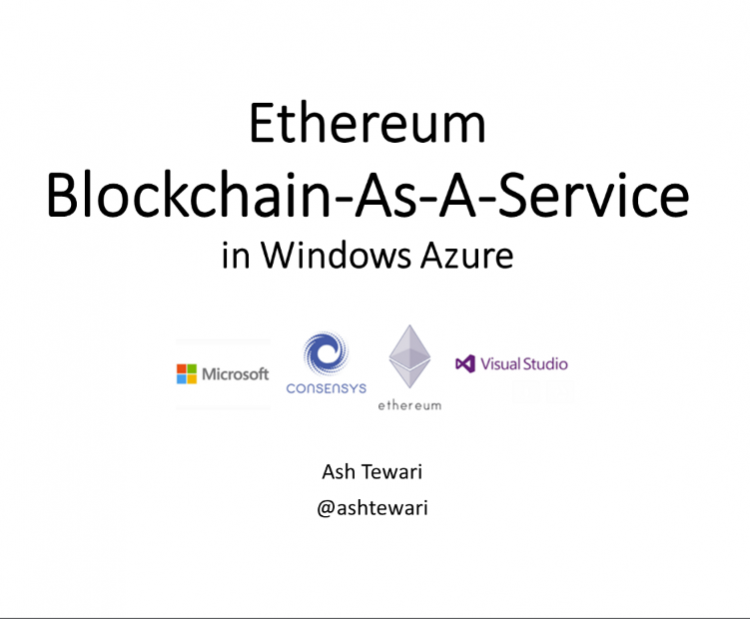 You will learn how to deploy them to public Ethereum blockchain and a private/consortium blockchain as a service in Azure. You will be introduced you to Solidity – the programming language used to write smart contracts. You will get familiar with the tools and technology around this exciting, promising and relatively new innovation. 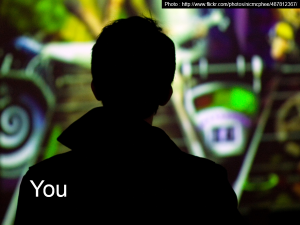 Presentation Slides are here: download. 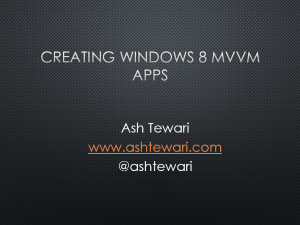 TRINUG January Main Meeting You will learn how to use MVVM in your own Windows 8 application – desktop/mobile You will learn MVVM fundamentals. 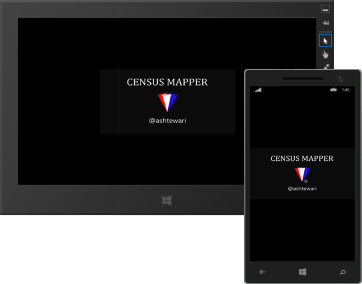 You will see the contrast between an MVVM application and a non-MVVM application. 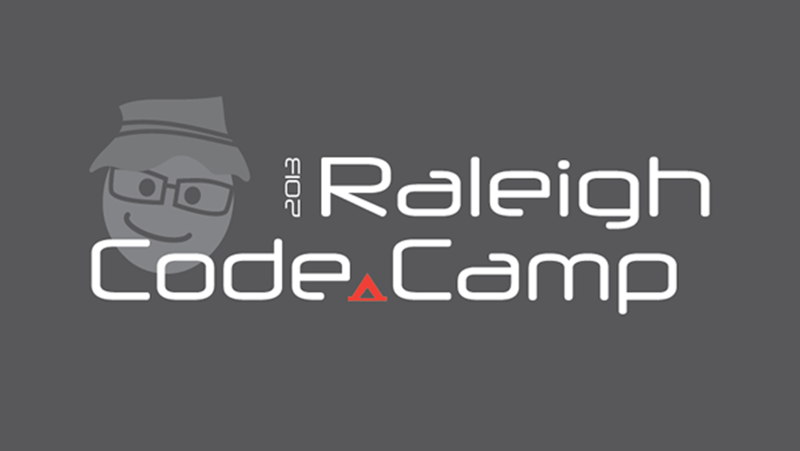 Raleigh Code Camp 2013 is wrapping up this afternoon. The venue and the crowd was phenomenal. 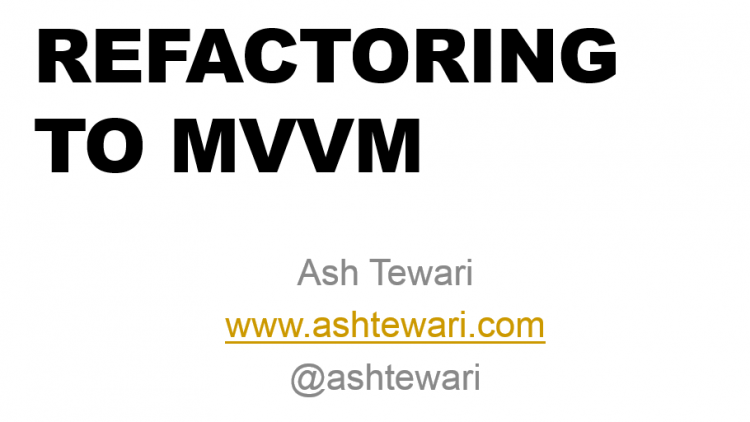 I really enjoyed presenting “Using Layer Diagrams – Keeping your MVVM code from turning into spaghetti”. Thanks to everyone who attended the presentation. John Sonmez, Our Keynote Speaker, made my day by accepting my request to attend my presentation. It was awesome to have him in the audience and to get feedback from him! I did not get the time to complete the raffle at the end of the presentation. But the folks who won the raffle should be getting an email from me with instructions to download their free license of CodeDemo (Professional). The presentation slides can be downloaded from here : download. TRINUG – Data SIG, July 2013 SQL Server Data Quality Services (DQS) is a knowledge-driven data quality product. DQS enables you to build a knowledge base and use it to perform a variety of critical data quality tasks, including correction, enrichment, standardization, and de-duplication of your data. I just finished presenting here at RDU Code Camp. It was a great crowd ! 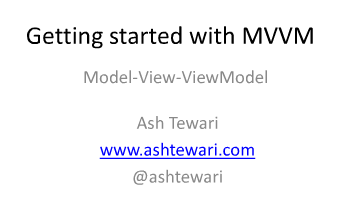 Here are the slides – Getting started with MVVM View more presentations from ashtewari. Is Scrum Bad For Developers ? SoCal CodeCamp was a blast. 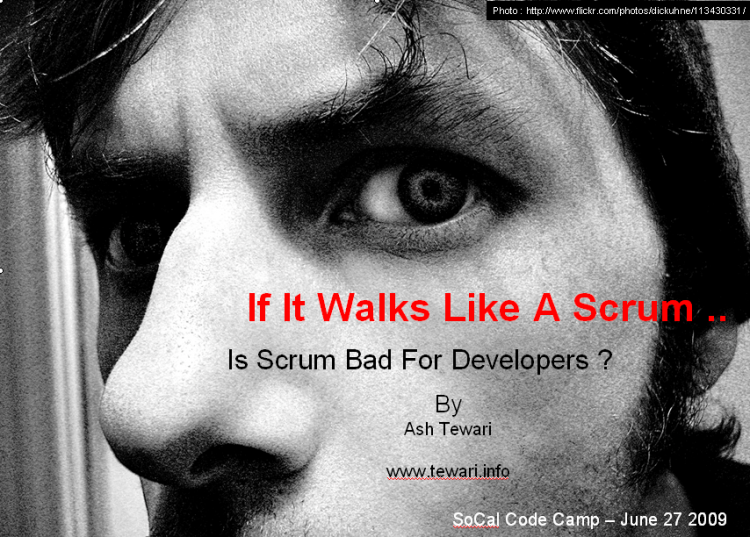 Thanks to everyone who attended my presentation : If it walks like a Scrum. The slide-deck can be downloaded from here.